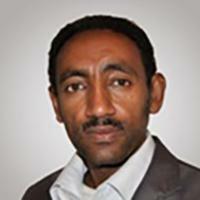 Dr. Shimelis Tsegaye is the Head of the Child Protection and Development Programme at the African Child Policy Forum (ACPF), responsible for programmes related to violence against children, child protection systems, family empowerment, child-headed households, and disability. Dr. Shimelis has coordinated the first two editions of the African Report on Child Wellbeing and contributed chapters to all existing editions of the Report as well as co-authoring and co-ordinating the preparation of the African Report on Violence against Children and the African Report on Children with Disabilities. Dr. Shimelis has contributed to African and global agenda-setting processes as a member of global and African child protection working groups. He has led the conceptualization and recent establishment of the African Partnership to End Violence against children, an African platform for collective action on ending violence against children. He is also the author of a number of research reports on various issues, including on disability, child protection, child poverty and child wellbeing. Dr. Shimelis holds a degree of Doctor of Education from the University of South Africa (UNISA).